Business envelopes are one of your key corporate identity materials; these can influence how their contents are treated by the people who receive your mail. To make smart and informed decisions on your business envelope printing, you need to know exactly what you’re getting before you order your next batch. 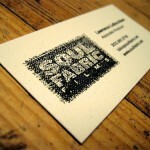 A-2 (4.375″ x 5.75″): Our smallest envelope size, these would fit our 3.5″ x 5″ folded cards and custom-sized postcards. They work great for note cards and RSVP cards. A-6 (4.75″ x 6.5″): These would fit 4″ to 4.25″ x 6″ standard size postcards and greeting cards. Aside from note cards, these envelopes present invitation cards nicely. A-7 (5.25″ x 7.25″): This is the standard size for greeting card envelopes. A-9 (5.75″ x 8.75″): These go great with 5.5″ x 8.5″ flat and folded postcards. 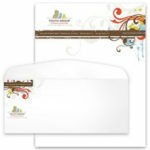 #10 (9.5″ x 4.125″): These are standard commercial envelopes that come with pointed flaps and have a white, 24 lb. paper quality. #10 (9.5″ x 4.125″) Window: This variation includes a window to display a delivery address printed on the sheet inside. 9.5″ x 12.5″ Catalog: With square flaps and a white, 28 lb. paper quality, 8.5″ x 11″ catalogs will fit snugly into these envelopes. 6″ x 9″: This catalog envelope size can contain our smallest catalog size of 8.5″ x 5.5″. We run these envelopes through a one-color press. You can choose from three Pantone colors to print your design in: Black, Reflex Blue, and Standard Red. 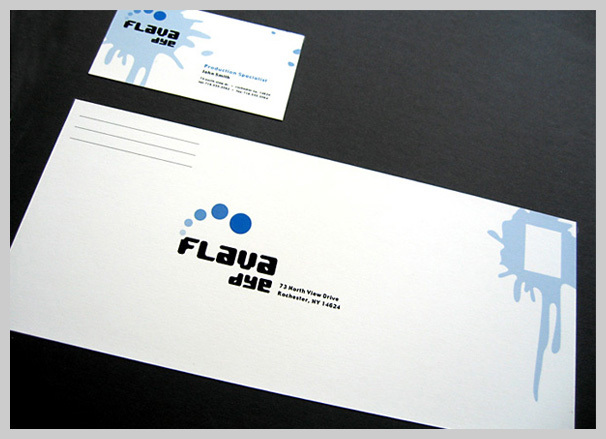 We also do full-color printing, but only on the outside of #10 envelopes. These are printed flat on the press using an 11″ x 17″ layout and then later converted into the final folded envelopes. We usually don’t print on more than 25% of business envelopes. This is not only because we need to meet postal requirements for envelope layout. Businesses who have enjoyed our premium design and free proofing services have learned from our talented teams that a good business envelope printing design can stand with simple, minimal, and effective elements, whether printing in one- or full-color. Find out more about our online envelope printing processes yourself; you can either call our 24-hour live operator phone line at 1-888-888-4211 or visit our website at UPrinting.com and check the rest of our promotional printing services. You can also leave a comment on this post sharing your thoughts or questions; we at the UPrinting Blog would love to hear from you! 15 Amazing Custom Envelopes You’ll Want In Your Mailbox!